Halloween is one of our favorite holidays. Not only do we enjoy going trick or treating with friends, but we also love to get a little creative with our seasonal accessories. 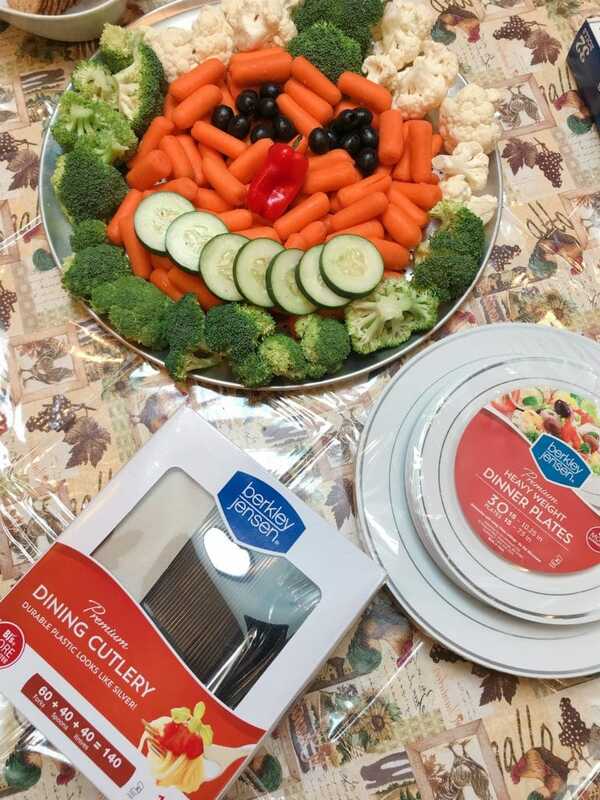 Whether we are serving fun platters or offering up spooky grab bags with children who visit our home on the big day, there’s one place we turn to for all of our needs – and that’s BJ’s Warehouse Club. I’m the type of person that loves to shop for everything in one place. I’m talking about my disposable plates, utensils, and napkins. It’s nice to know that while I am hopping around looking for my appetizers, I can also snag what I need to serve them on. BJ’s offers outstanding value and convenience on holiday essentials such as fresh food, paper goods, décor, gifts and apparel in an easy one stop shop! It’s all here and it’s glorious! LOL! 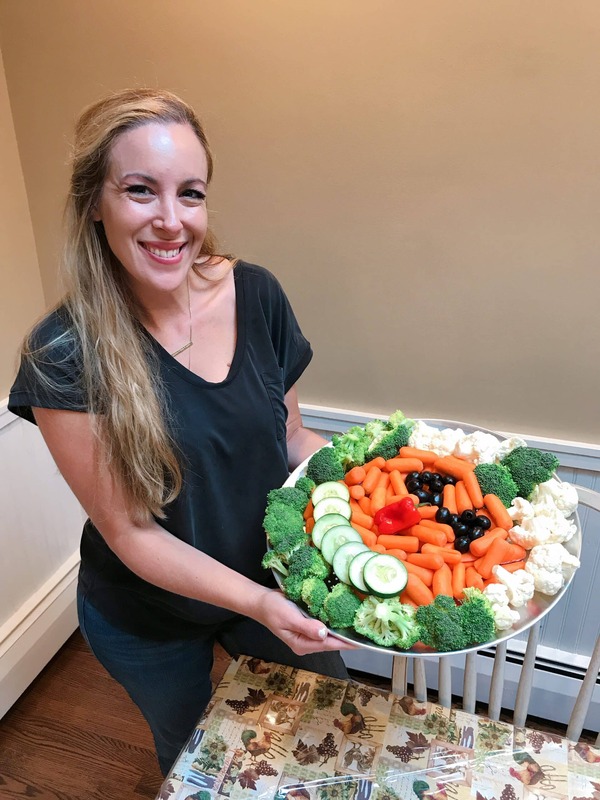 And can we talk a little bit about this super easy pumpkin vegetable platter I made? It’s always a crowd favorite! Whenever I host a holiday party in the Fall, it always makes it onto my table. What do you need? Broccoli, carrots, small whole peppers, and a can of whole black olives from BJ’s exclusive Wellsley Farms brand. 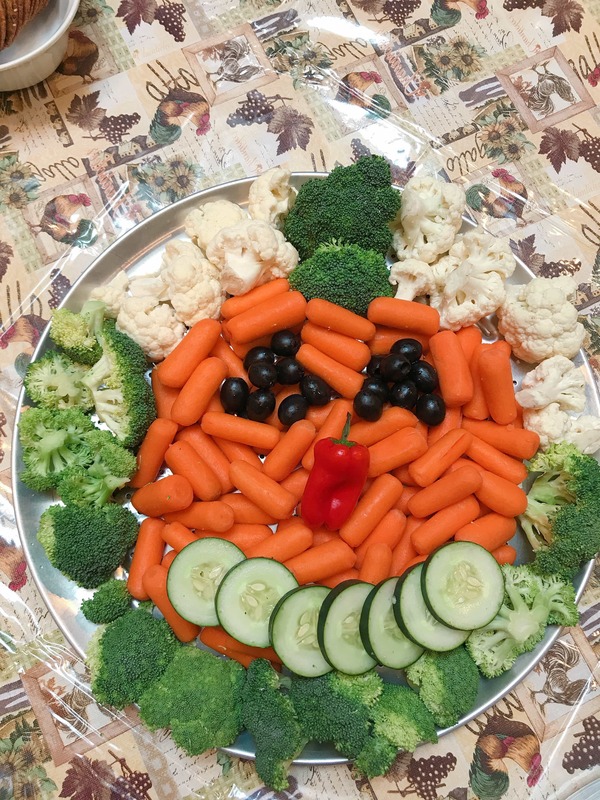 For this platter, I also added some cauliflower. It’s truly super easy to make and makes SUCH a presentation! Wellsley Farms sets the bar when it comes to quality and taste at an unmatched value. If you are looking for natural or organic – they have it too! The best part has to be that members can try any of BJ’s Wellsley Farms and Berkley Jensen products and return them for a full refund if they aren’t satisfied for any reason. It’s amazing!! BJ’s is so confident that members will love its exclusive Wellsley Farms and Berkley Jensen brands, that they’re backed with a 100% money back guarantee!!! It doesn’t take much to get into the holiday spirit either. With just a few creative nips and tucks, you can make sure that your guests will have a howling good time. 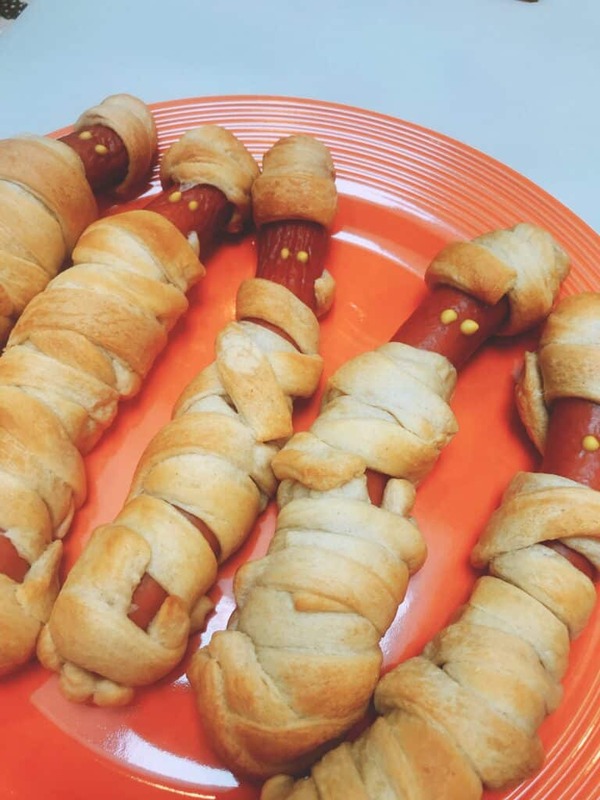 Take these Halloween Mummy Franks that I made for example! Simply, cut up Crescent Rolls into small strips. Wrap them around a hot dog of your choice and bake for 15 minutes in an oven at 375 degrees. Easy as can be! To finish off the look, simply dab on two little mustard eyes. LOVE IT. Just note: I left a space for the head to pop out. You do not wrap the entire frankfurter evenly. That’s important. Members can visit Stocked.BJs.com for easy holiday recipes, inspiration and tips on how to save even more with BJ’s exclusive brands. BJ’s is FULL of Halloween candy right now – all different varieties. But if you’re like me, your child’s school doesn’t allow the distribution of sweets. I was so happy to see that they had other options on hand for people who were looking for creepy alternatives. I found this adorable pencil with topper set and it came with 36 items! That’s enough for each child in Caleb’s class to receive two each. YAHOO! I want to be a baker – really I do. I mean, deep down in my heart I DO. But life always gets in the way and it never quite happens how I plan. Thank goodness BJ’s always has seasonal cookies and cakes that adds the perfect finishing touch. 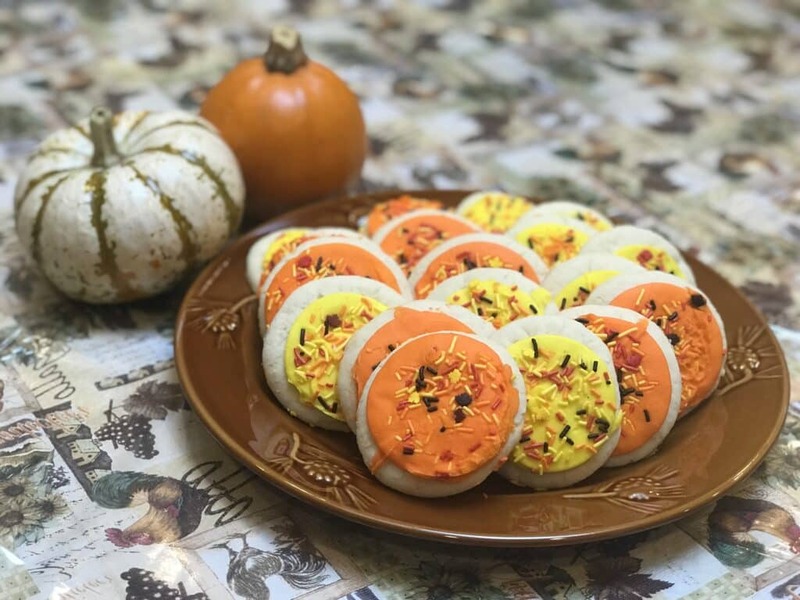 Check out these Fall cookies topped with yellow and orange hues. 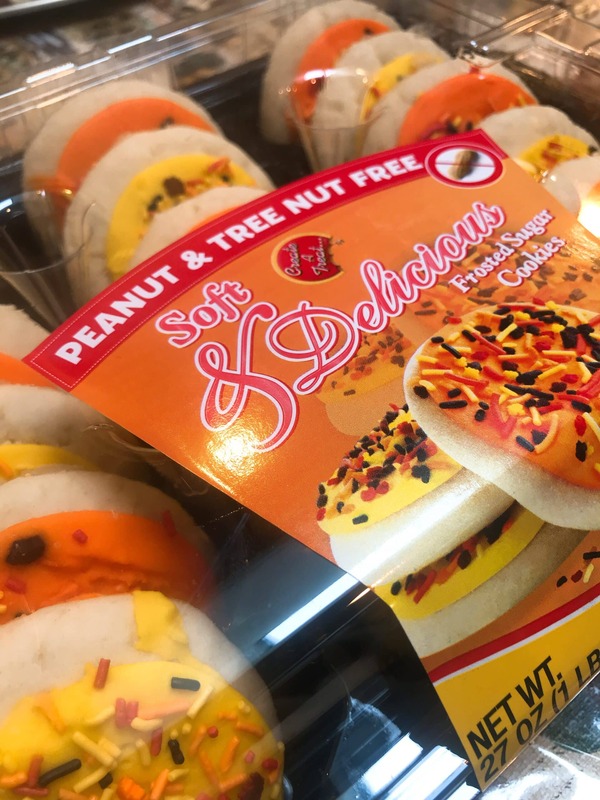 Just in case you live in an allergy-prone home, it’s good to know that you will easily find items that are peanuts and tree nut free. One stop shopping. Everything in one swoop. Keeping my holiday spirit in tact! Thank goodness for BJ’s! BJ’s helps you take the stress out of holiday entertaining with everything from fresh food and appetizers to whiteware and décor. 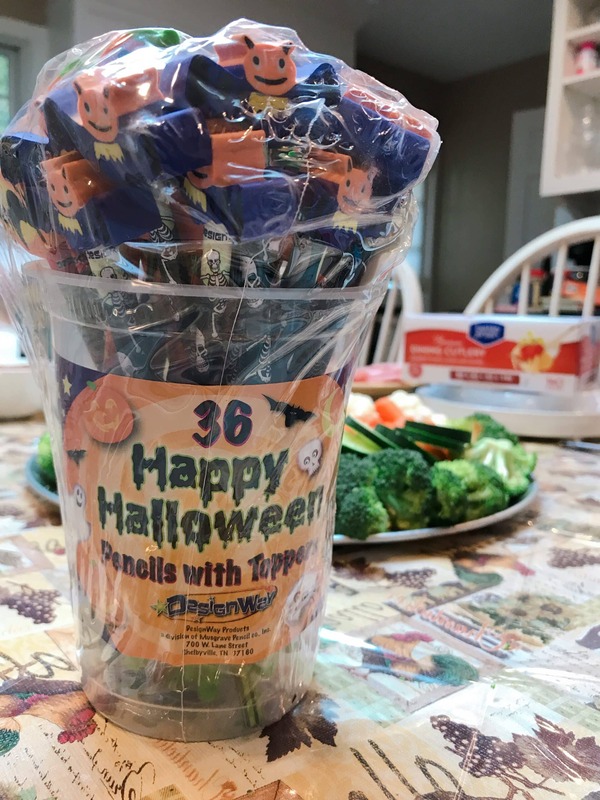 I can spend more time with my trick or treaters and less time worrying about my hosting duties. Join For $25 Today To Get The Best Value Around! BJ’s is offering a $25 membership for a limited time only. All you have to do is click here to access the special membership discount. This discount will not last forever. Take advantage while you still can. I really think that BJ’s is completely committed to offering the best value of any supermarket or club. I mean, members save 25% off grocery store prices every day and BJ’s is the only membership warehouse club to accept manufacturer’s coupons!! That’s such a score for me. You know I’m a couponing girl. 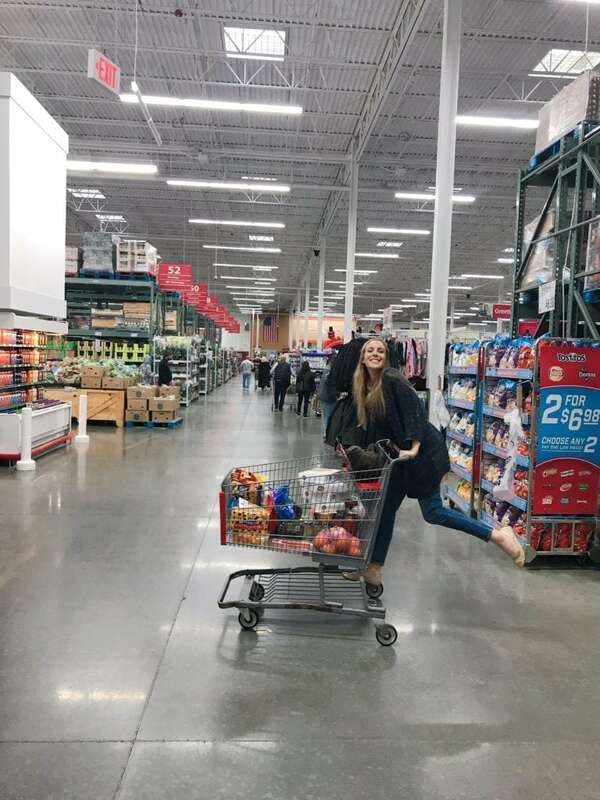 Refer your friends to join BJ’s by visiting BJs.com/bestie and you’ll both receive a $25 BJ’s Gift Card when your friend joins!! The deals just keep on coming!